This Quarterly Supplemental and Operating Information contains certain forward-looking statements within the meaning of the U.S. Private Securities Litigation Reform Act of 1995, Section 27A of the Securities Act of 1933 and Section 21E of the Securities Exchange Act of 1934. Forward-looking statements relate to expectations, beliefs, projections, future plans, strategies, anticipated events, trends and other matters that are not historical facts. These forward-looking statements reflect PREITs current views, achievements or results, about future events and are subject to risks, uncertainties and changes in circumstances that might cause future events, achievements or results to differ materially from those expressed or implied by the forward-looking statements. More specifically, PREITs business might be affected by uncertainties affecting real estate businesses generally as well as the following, among other factors: PREITs substantial debt and high leverage ratio; constraining leverage, interest and tangible net worth covenants under the 2010 Credit Facility; PREITs ability to refinance its existing indebtedness when it matures on favorable terms, or at all; PREITs ability to raise capital, including through the issuance of equity or equity-related securities if market conditions are favorable, through joint ventures or other partnerships, through sales of properties or interests in properties, or through other actions; PREITs short- and long-term liquidity position; the effects on PREIT of dislocations and liquidity disruptions in the capital and credit markets; the current economic conditions and their effect on employment, consumer confidence and spending and the corresponding effects on tenant business, performance, prospects, solvency and leasing decisions on our cash flows; and the value and potential impairment of PREITs properties; and PREITs ability to maintain and increase property occupancy, sales and net effective rental rates, including and in light of the relatively high number of leases that have expired or are expiring by the end of 2013. 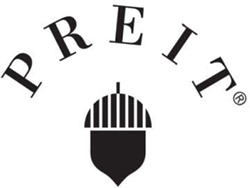 Additionally, there can be no assurance that PREITs actual results will not differ significantly from the estimates set forth in press releases or other disclosures, or that PREITs returns on its developments, redevelopments or acquisitions will be consistent with the estimates outlined in press releases or other disclosures. Investors are also directed to consider the risks and uncertainties discussed in documents PREIT has filed with the Securities and Exchange Commission and, in particular, PREITs Annual Report on Form 10-K for the year ended December 31, 2010. PREIT does not intend to update or revise any forward-looking statements to reflect new information, future events or otherwise. Pennsylvania Real Estate Investment Trust, founded in 1960 and one of the first equity REITs in the U.S., has a primary investment focus on retail shopping malls. As of December 31, 2011 the Companys 49 properties included 38 shopping malls, eight strip and power centers, and three development properties. These properties are located in 13 states in the eastern half of the United States, primarily in the Mid-Atlantic region. The operating retail properties have a total of approximately 33.1 million square feet. PREIT is headquartered in Philadelphia, Pennsylvania. February 17, 2012 - PREIT announced the Board of Trustees of the Company declared a quarterly cash dividend of $0.15 per common share. January 17, 2012 - PREIT announced the tax status of its 2011 distributions. October 20, 2011 - PREIT announced the Board of Trustees of the Company declared a quarterly cash dividend of $0.15 per common share. February 9, 2012 - PREIT announced an agreement with Mercy Health System to add a 23,500 sf health and wellness satellite location aligned with Mercy Suburban Hospital at Plymouth Meeting Mall in Plymouth Meeting, Pennsylvania. January 31, 2012 - PREIT announced an agreement with jcpenney to relocate and expand its anchor store at North Hanover Mall in Hanover, Pennsylvania. December 28, 2011 - PREIT announced it signed Philadelphia Media Network, Inc., owner of The Philadelphia Inquirer, Daily News, and Philly.com, to a 125,000 sf office space at 801 Market Street in Philadelphia, Pennsylvania. December 22, 2011 - PREIT announced it signed a 12 screen, 56,000 sf Regal Premium Experience movie theater at the Moorestown Mall in Moorestown, New Jersey. December 19, 2011 - PREIT announced it signed a 12,000 sf lease with Charming Charlie at Plymouth Meeting Mall in Plymouth Meeting, Pennsylvania. January 26, 2012 - PREIT scheduled its Fourth Quarter 2011 earnings call for Thursday, February 23, 2012. November 16, 2011 - PREIT announced its 2011 holiday promotion. November 15, 2011 - PREIT announced the commencement of a multi-faceted repositioning of Moorestown Mall in Moorestown, New Jersey. October 27, 2011 - PREIT reported its Third Quarter 2011 results. October 13, 2011 - PREIT scheduled its Third Quarter 2011 earnings call for Thursday, October 27, 2011. NOTE: The press release announcements are available on the Companys website at www.preit.com. Amounts exclude debt discount on exchangeable notes and debt premium on mortgage loans. The secured debt balance includes $240,000 in Term Loans and $95,000 outstanding under the Revolving Facility as of December 31, 2011. The unsecured debt balance includes exchangeable notes of $136,900 for all periods presented. The unsecured debt balance included $170,000 in the senior unsecured 2008 Term Loan and $486,000 in outstanding Credit Facility borrowings for the year ended December 31, 2009. Includes $.004 of unrecaptured Section 1250 gain as of December 31, 2011. Based on closing share price at the end of the period. The available Credit Facility borrowings are subject to covenants that may restrict amounts that can be borrowed. PREITs proportionate share of partnership operations is grossed up to reflect the Companys share of the total revenue and expenses of the underlying properties. Net of capitalized interest expense of $589 and $602 for the quarters ended December 31, 2011 and 2010, respectively. Net of capitalized interest expense of $2,032 and $2,561 for the years ended December 31, 2011 and 2010, respectively. The Company had net losses from continuing operations for all periods presented. Therefore, the effect of common share equivalents of 369 and 781 for the quarters ended December 31, 2011 and 2010, respectively, and 502 and 502 for the years ended December 31, 2011 and 2010, respectively, are excluded from the calculation of diluted loss per share because they would be antidilutive. Total includes the non-cash effect of straight-line rent. Twelve months ended December 31, 2011. Twelve months ended December 31, 2010. These leasing costs are presented as annualized costs per square foot and are spread uniformly over the initial lease term. Leasing spreads on a gross rent basis (base rent plus common area maintenance, real estate taxes, and other charges) were -5.6% for New Leases - Previously Leased Space and -6.0% for Renewals. Leasing spreads on a gross rent basis (base rent plus common area maintenance, real estate taxes, and other charges) were 2.2% for New Leases - Previously Leased Space and -2.3% for Renewals. Leasing spreads on a gross rent basis (base rent plus common area maintenance, real estate taxes, and other charges) were -14.8% for New Leases - Previously Leased Space and 0.3% for Renewals. Leasing spreads on a gross rent basis (base rent plus common area maintenance, real estate taxes, and other charges) were -14.0% for New Leases - Previously Leased Space and 3.5% for Renewals. This category includes newly constructed and recommissioned space. This category includes expansions, relocations and lease extensions. Occupancy for both periods presented includes all tenants irrespective of the terms of their agreement. Previously, occupancy was reported excluding tenants under agreements with initial terms of less than one year. Average base rent for tenants that lease individual spaces of 10,000 square feet or less and pay fixed rent. Average base rent for tenants greater than 10,000 square feet that pay fixed rent was $14.28/sq ft as of December 31, 2011 and $14.36/sq ft as of December 31, 2010.